This elegant Russian Tea Room lends a unique, trendy sophistry which has a high visual appeal . The dark blue background color with white and yellow typeface presents a premium ambiance. 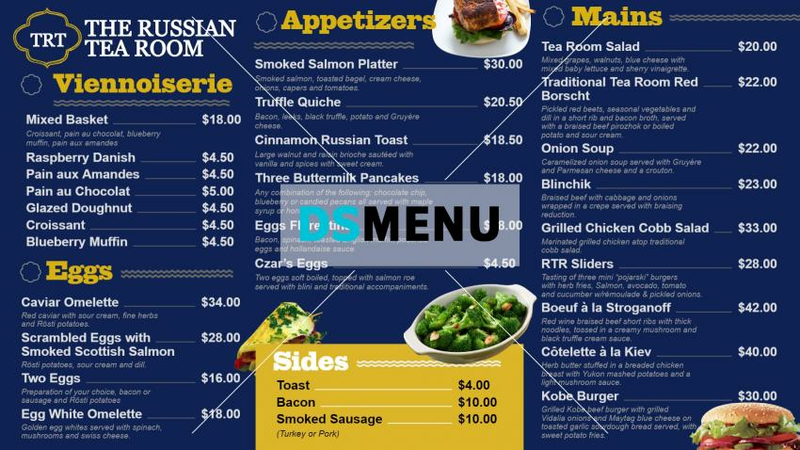 The menu is typically Russian, with breakfast, appetizers, several egg variants and mains. On a digital signage menu board the impact on the target audience will certainly take sales to the next level.